BiC Multi-Purpose Utility Lighter1.0 ea. Bic performance policy: If you are not satisfied with the performance of this product, we will gladly replace it at no cost to you. Please contact Bic for product replacement instructions. 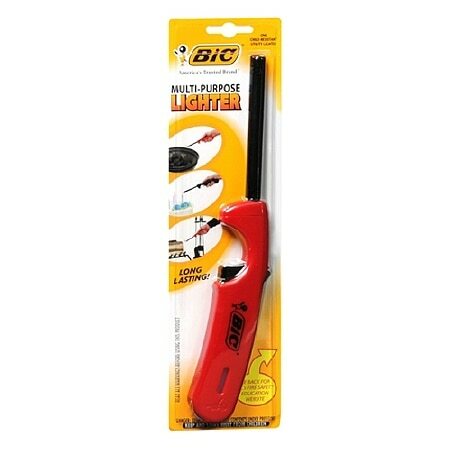 © 2007 Bic USA Inc.
READ ALL WARNINGS BEFORE USING LIGHTER. KEEP AND STORE AWAY FROM CHILDREN. NO LIGHTER IS CHILD-PROOF. THERE IS NO SUBSTITUTE FOR PROPER ADULT SUPERVISION..